When you use it correctly, arranging your room around your natural light source can help a room to breathe again. The Apartments of Wildewood have amazing, spacious floor plans that will already cut down on the claustrophobia you may feel when moving into an apartment. But even the largest living areas can fill up fast with clutter and other design flaws that will make them look so much smaller. Bad interior design choices can make a 20×20 room feel like a tiny closet. When you have an apartment, you may find that opening up your space is a little difficult–follow these three simple tips to help you stop those walls from closing in. Natural lighting will automatically make your space open up. When you use it correctly, arranging your room around your natural light source can help a room to breathe again. It also helps when you open up a window letting that light in, and the fresh air and breeze is leading you right to an open area. What better way to make use of nature! 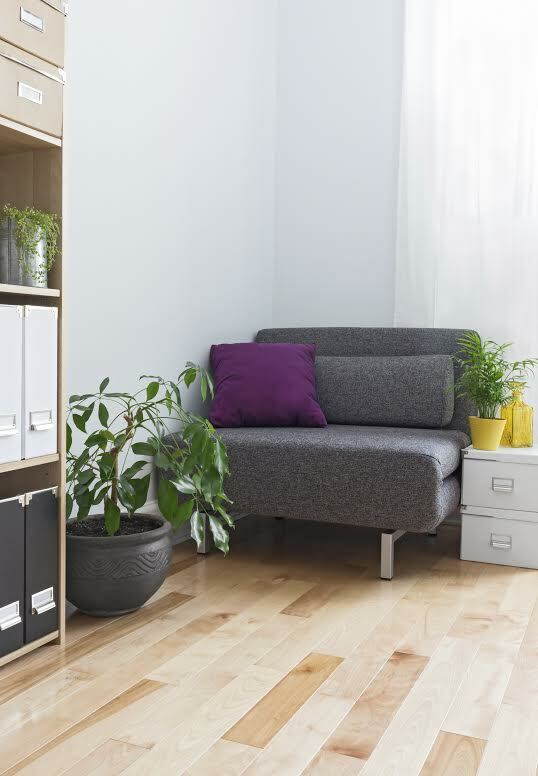 Choosing a couch that rests a few inches off the ground is going to give the illusion of airflow and free space. You can do this with just about any furniture, and when you keep the space underneath open, it can show more of the floor, which is what you want. More floor showing means a bigger room. You could even enhance this effect by getting furniture made with glass, like a coffee table. An overhead light is going to draw attention and cause the ceiling to sink in on itself. This will not help the feeling that your room is crowded. Instead of choosing something like an overhead light, place different and creative light sources around the room. Choose decor that doubles as decoration and a lamp. Hide a few Christmas lights underneath furniture, or stick a floor lamp in the corner. This will easily open up your room and keep a more ambient light. Want a beautiful space to work with? The Apartments of Wildewood is waiting for your call. Our apartments are the best in the St. Mary’s County. If you’re looking for a great template to start with, our floor plans will provide you with an amazing amount of space to help you feel free and fresh. This entry was posted on Friday, July 8th, 2016	at 3:30 pm	. Both comments and pings are currently closed.